Over the last few weeks the children have been very busy preparing to open their own coffee shop. A group of children visited Costa Coffee to explore the kinds of things we would need. We had a tasting test to see what kind of tea we would like to sell, and decided on blackcurrant and peppermint along with coffee and everybody’s favourite hot chocolate! The children also wanted to make some yummy cakes to sell. We made these from a variety of art and craft materials and we all agreed they looked good enough to eat! We have had great fun this week visitng our coffee shop and taking on the different roles of customers and waiters. We have been taking orders in our notebooks, and serving drinks and food to our friends. Today in the toddler room we have been investigating shapes. The children had fun creating the shapes of a square, circle and triangle on to the potatoes. As you can see they created some inspiring art work. We carried out a parental engagement survey which closed just before Christmas. We are working through the comments and suggestions that you have told us could improve our centre and we thank you for the positive feedback we also received about what is going well within our centre. The children in the toddler room have enjoyed learning about Chinese New Year and Chinese culture. They had sensory fun trying to find number cards hidden in the coloured noodles. The cards had pictures of pigs on them as 2019 is the year of the pig! The children also had sticky fun making their own coloured Chinese dragons. At snack time they sampled some traditional Chinese food and explored this with chopsticks. Everyone joined in and had a taste. The prawn crackers were a definite favourite!! Yummy!! This week we have been continuing to explore patterns through the wonderful story of Pezzetino by Leo Lionni. Pezzetino is a little square who lives in a world where all his colourful friends are much bigger than him and can do daring and wonderful things. He is very small and just one little piece so he feels he must belong to someone else and he sets off to find out where he is missing from…. The children were curious to find out what the word Pezzetino means as they had never heard it before! We discovered that it means ‘little piece’ in Italian which we thought was a very good title for the story! In the story Pezzetino speaks to some of his friends who are all different shapes and sizes to find out where he belongs. Some of the friends he visits are ‘ the one who runs’, the ‘strong one’ and ‘the swimming one’. The children decided they would like to make their own creatures using losing little squares. You can see some of their fantastic creations below! 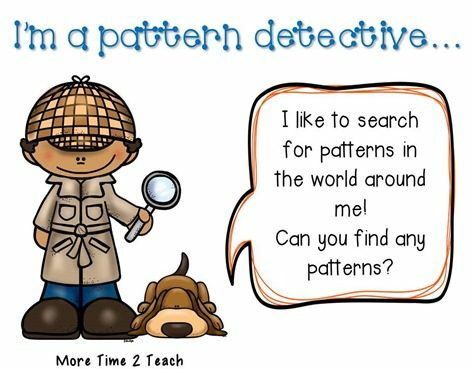 We began by looking at animal patternx and we were able to match the pattern to the correct animal we could see on the big screen. We learned how some animals use their patterns to help them. The male peacock shows his patterned feathers to the feamle peacock. The children also enjoyed exploring patterns by making rubbings from embossing plates. They were able to describe the different patterns they could see. The children then decided to see what other pattern rubbings they could find around the nursery. We are beginning to learn to copy and create our own patterns using different colours.